「Tenjin EP」 went up to No.9 in Beatport releases chart!! 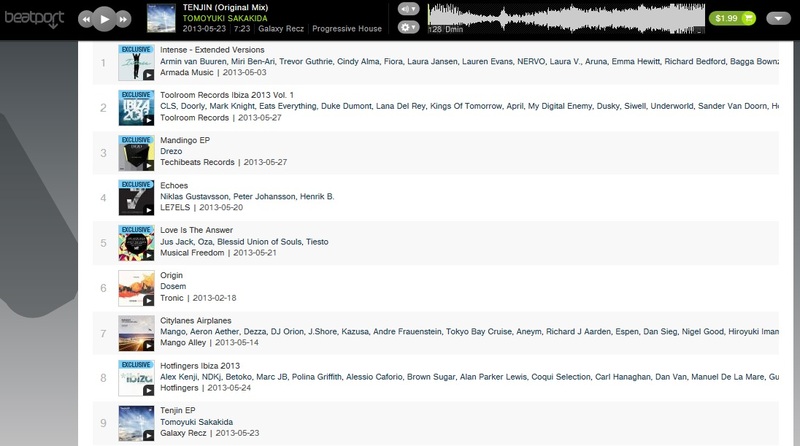 「Tenjin EP」 went up to No.9 in Beatport Progressive House Top 100 Releases!! We are very much pleased with this news! !